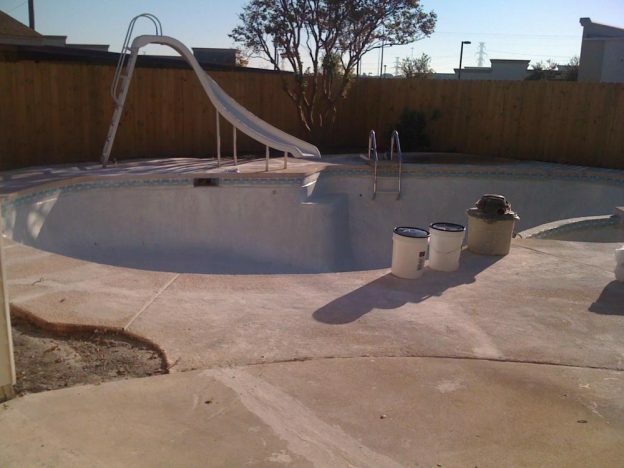 Mesquite TX Pool Remodeling Job - Texas Fiberglass Pools Inc. There are some happy kids in Mesquite TX enjoying the family swimming pool again! 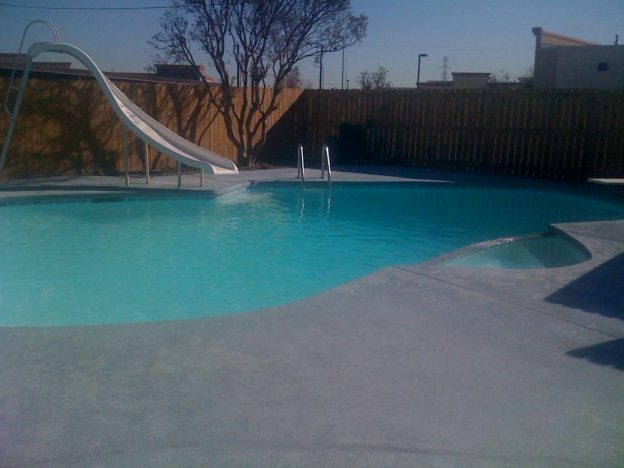 Pool remodeling and pool renovations provided by Texas Fiberglass Pools Inc.. Pool crack repair was addressed with fiberglass pool resurfacing. Pool deck resurfacing using a texture and color chosen by the customer makes this pool not only beautiful, but nearly maintenance free!